High quality and built to last! 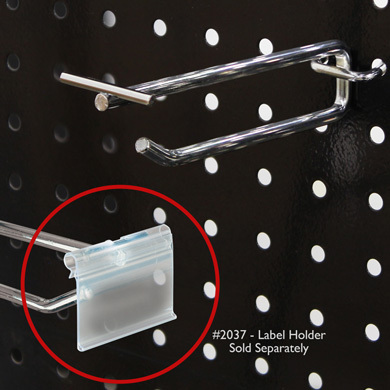 These Scanning Peg Hooks are made exclusively to be used with metal pegboard found on our gondolas and displays. Upper arm allows for easy attachment of our label holder #2037 (sold separately). Peg hook thickness is .228 in.